Oncology is the care and treatment of people who have been diagnosed with cancer. Medical oncology involves treatment with medications such as chemotherapy; Radiation oncology treats people using radiotherapy. Not all people with cancer are referred to an oncologist or the oncology service. The South Canterbury Oncology Service is based at Timaru Hospital and consists of Oncology Clinical Nurse Specialists, a Cancer Nurse Coordinator and Social Worker. Treatment is provided under the direction of oncology or haematology specialists based in Christchurch or Dunedin. Local support is provided by the Timaru Hospital consultants, GP practices, and a range of hospital and community services. Oncology clinics: People receiving chemotherapy under the care of an oncologist are regularly reviewed in clinic. These are a combination of visiting medical oncologist clinics in the Out Patient Department, or via video conference facilities in a TeleHealth clinic. 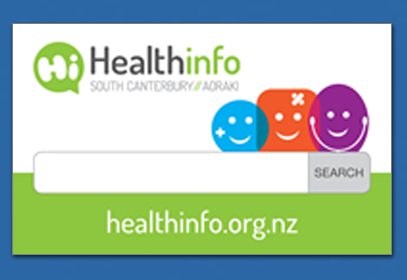 Both of these clinics are held at Timaru Hospital. Treatment: Chemotherapy and related infusions are given by the chemotherapy nurses at Day Patient Services (DPS) on the 4th Floor. New referrals to medical and radiation oncology are by secondary service consultants. Referrals to the Cancer Nurse Coordinator and Cancer and Psychological Support Service Social Worker are by any health professional - see Health Pathways for guidance.